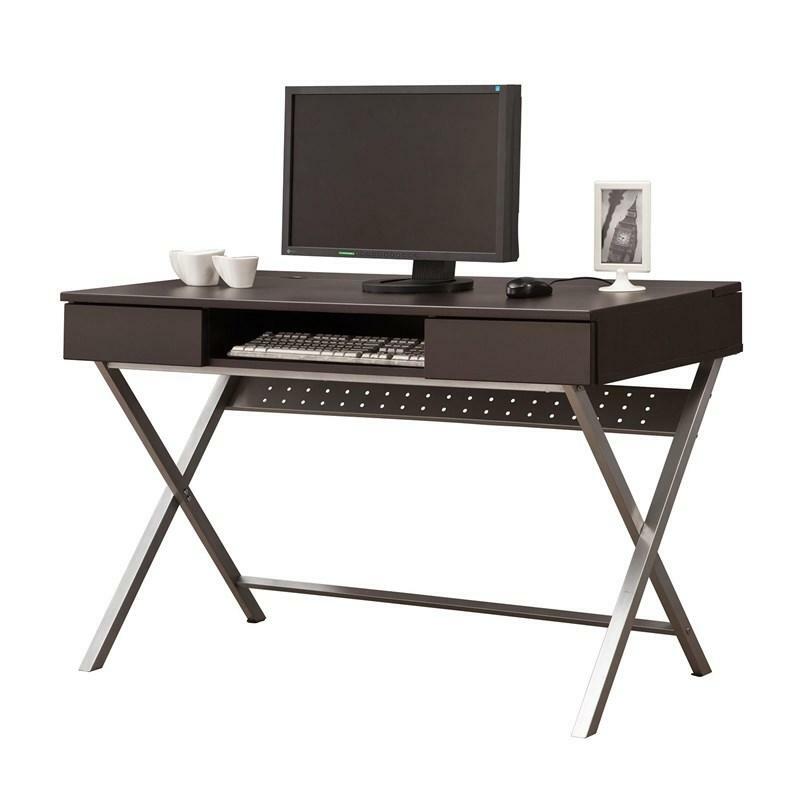 Keep your office supplies and devices organized and within reach without taking up too much valuable space. 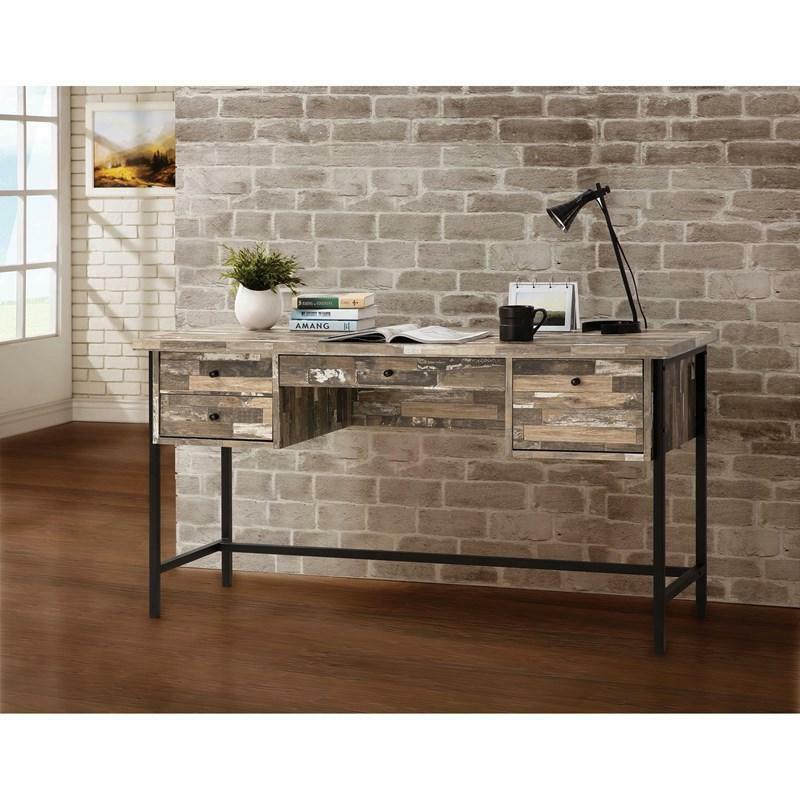 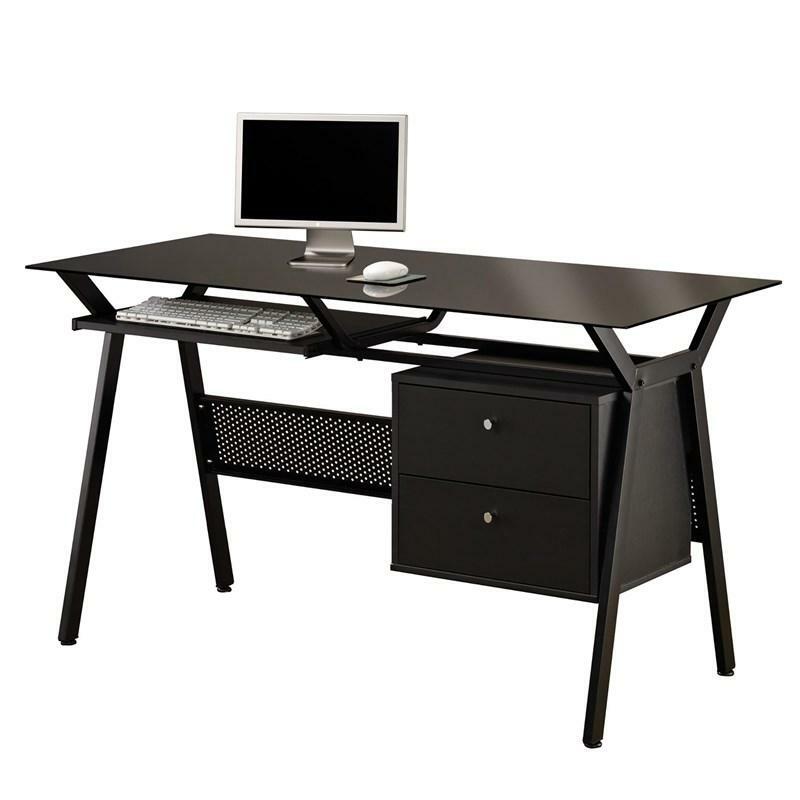 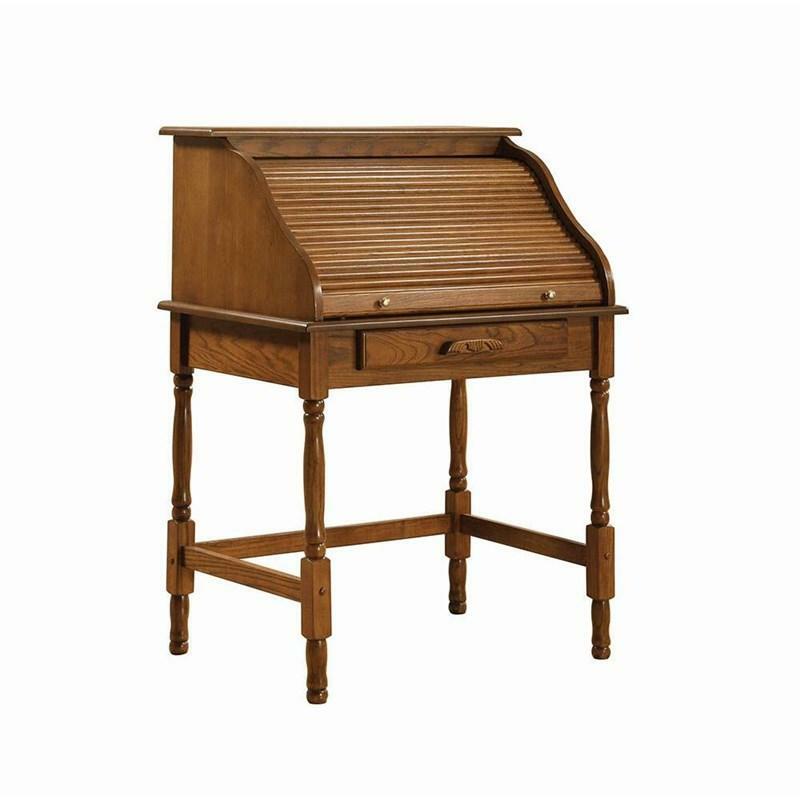 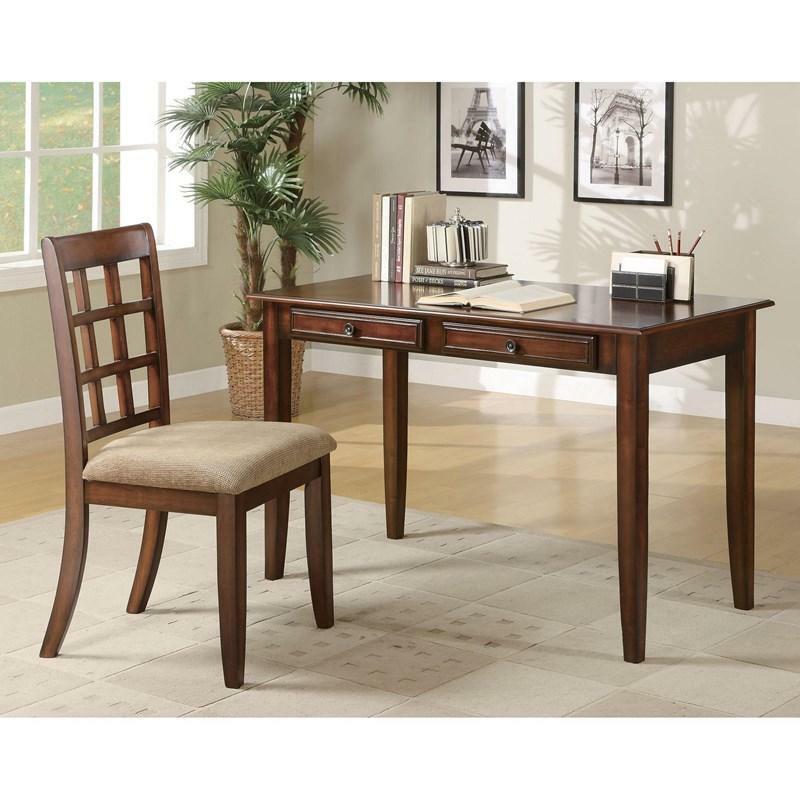 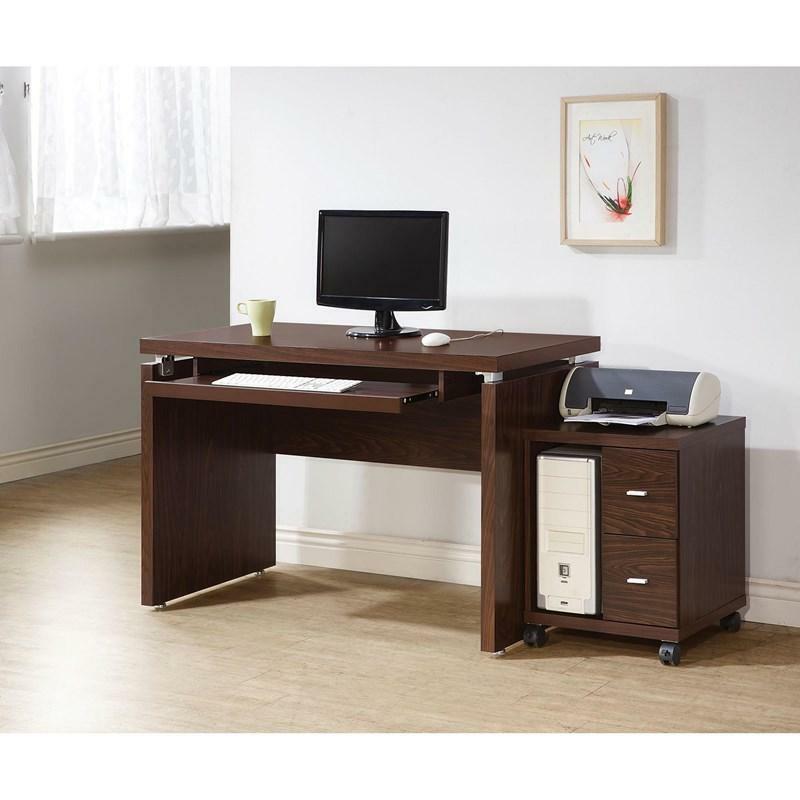 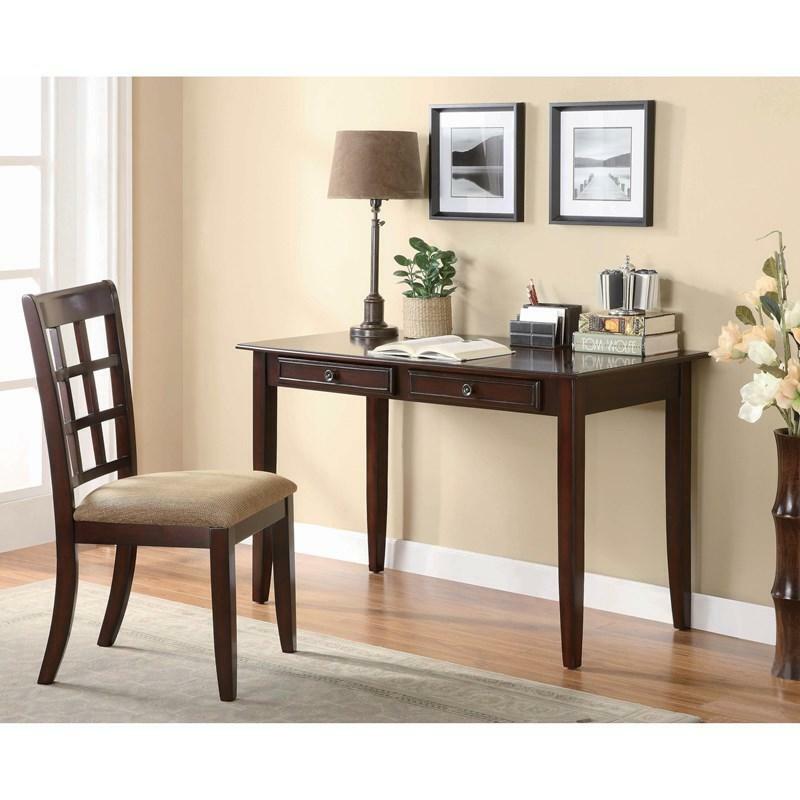 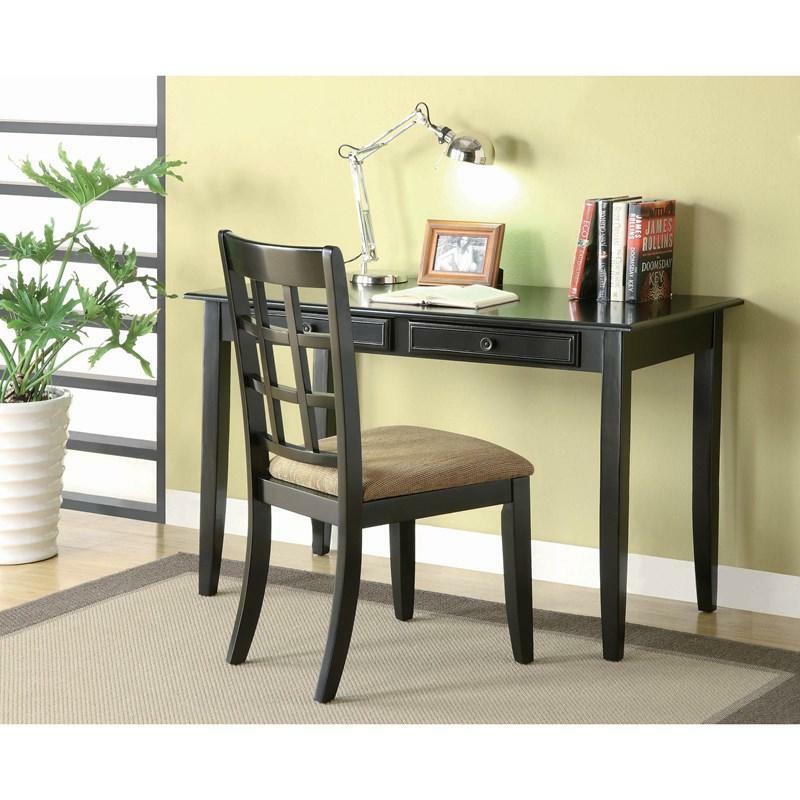 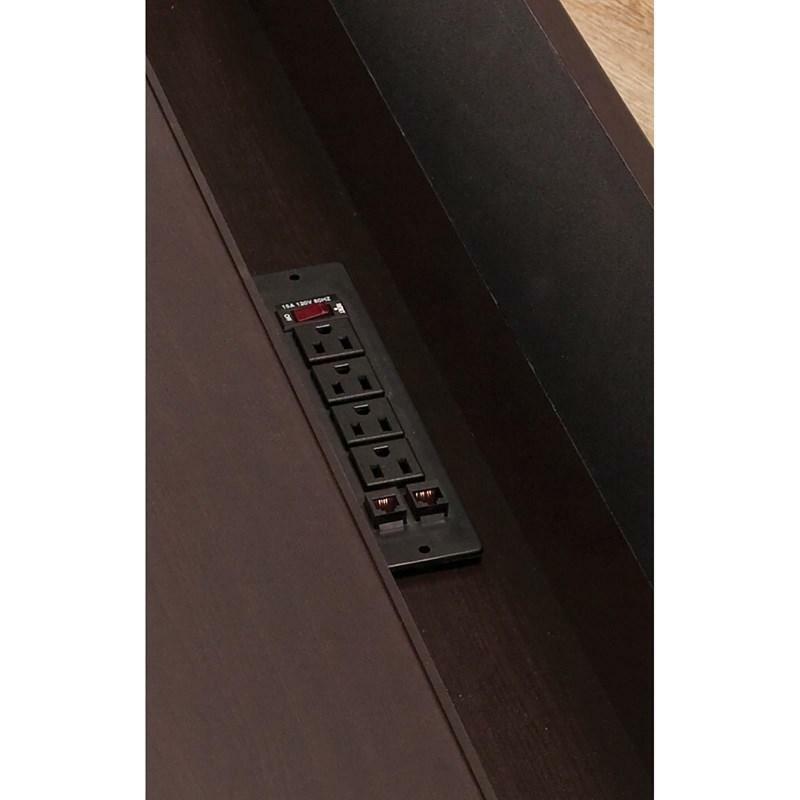 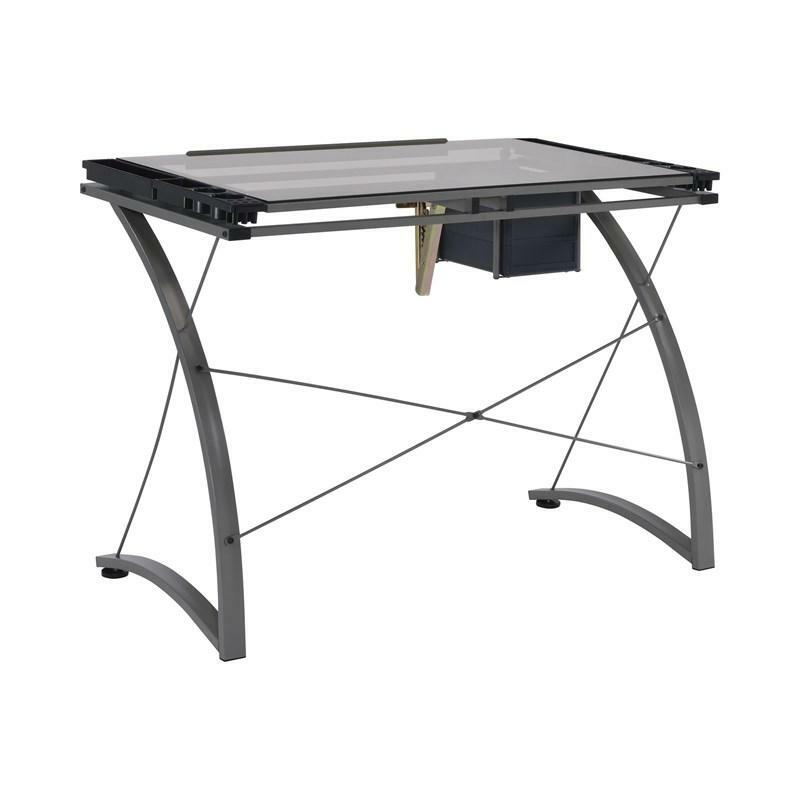 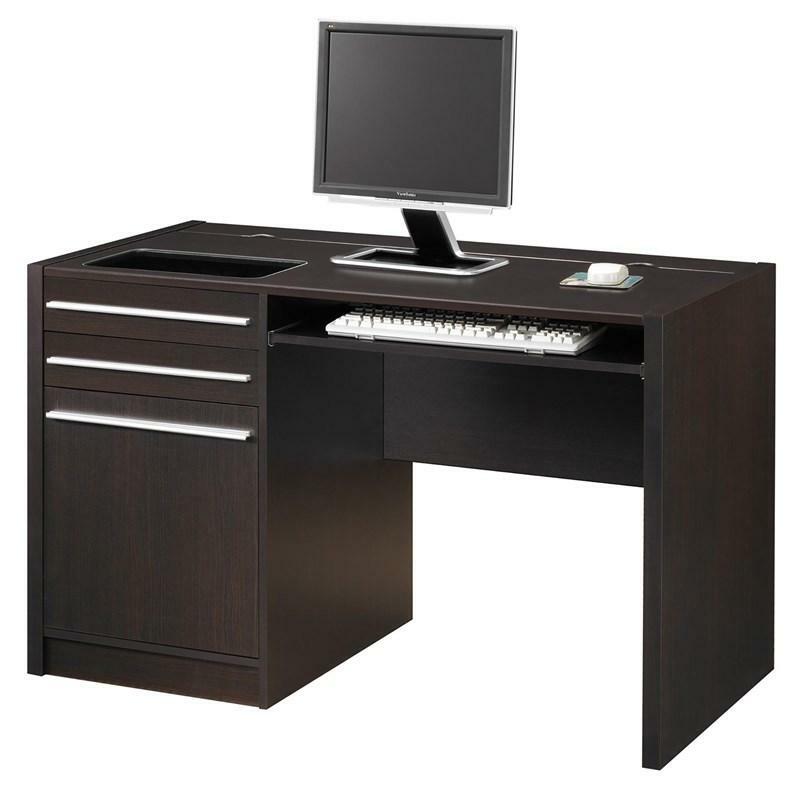 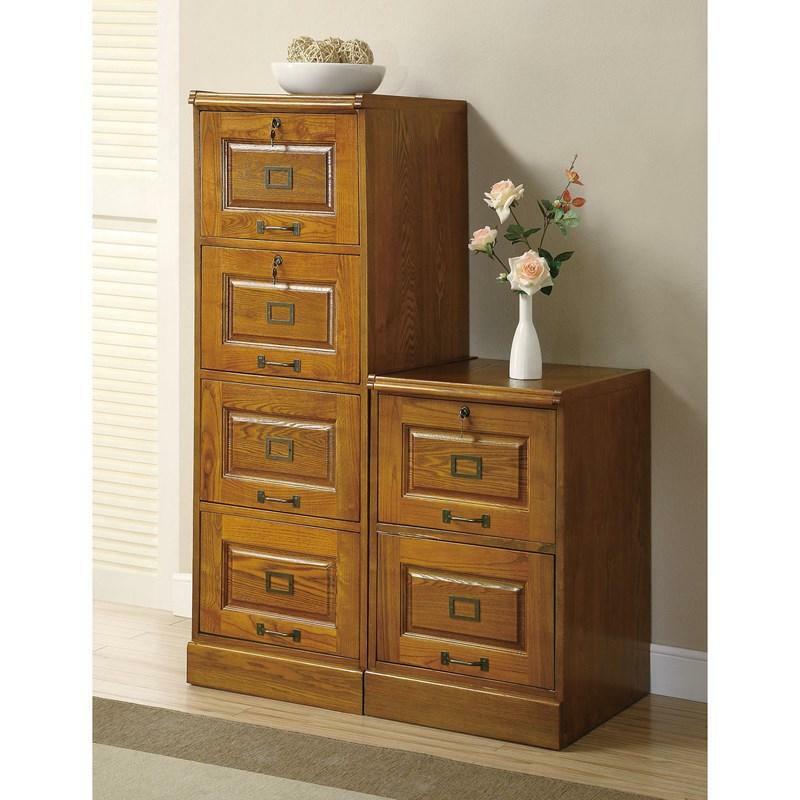 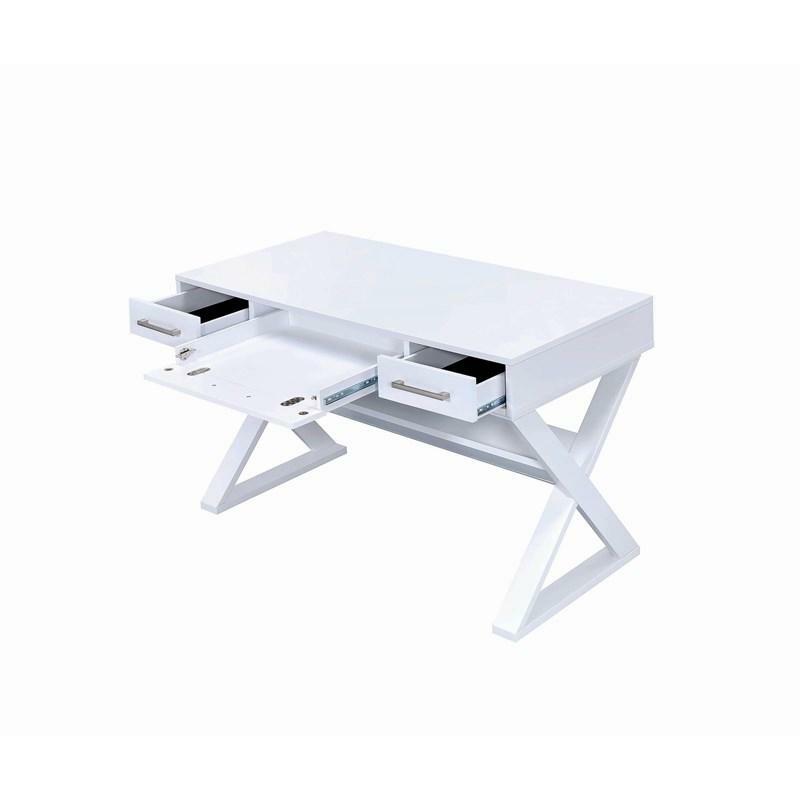 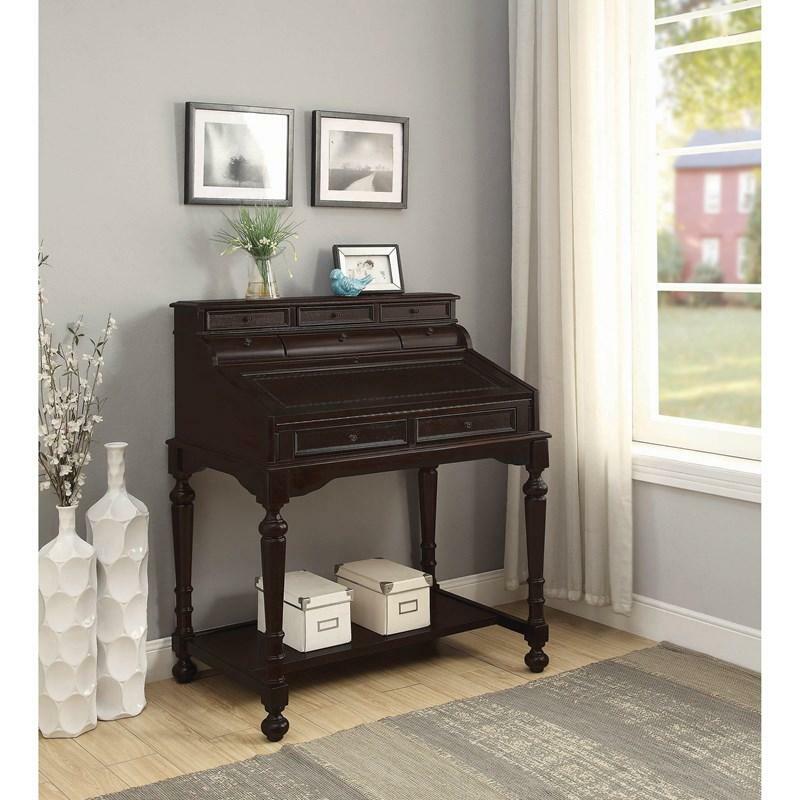 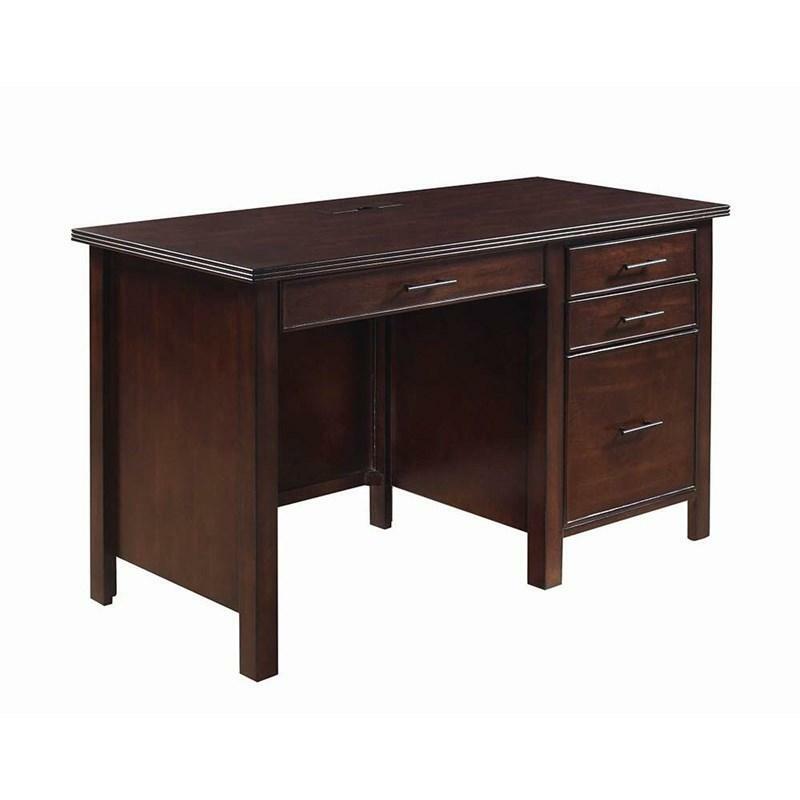 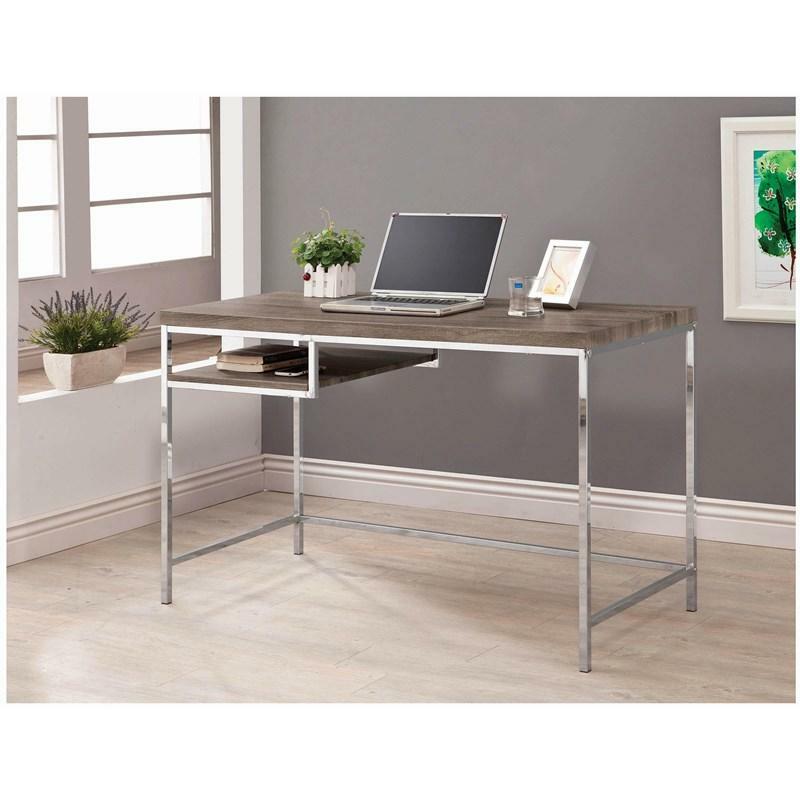 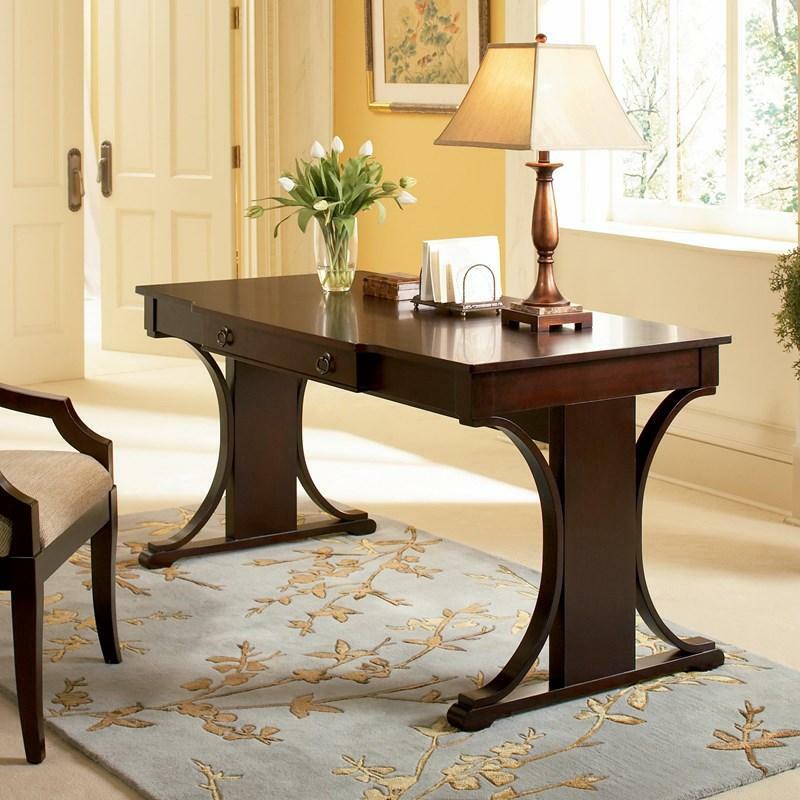 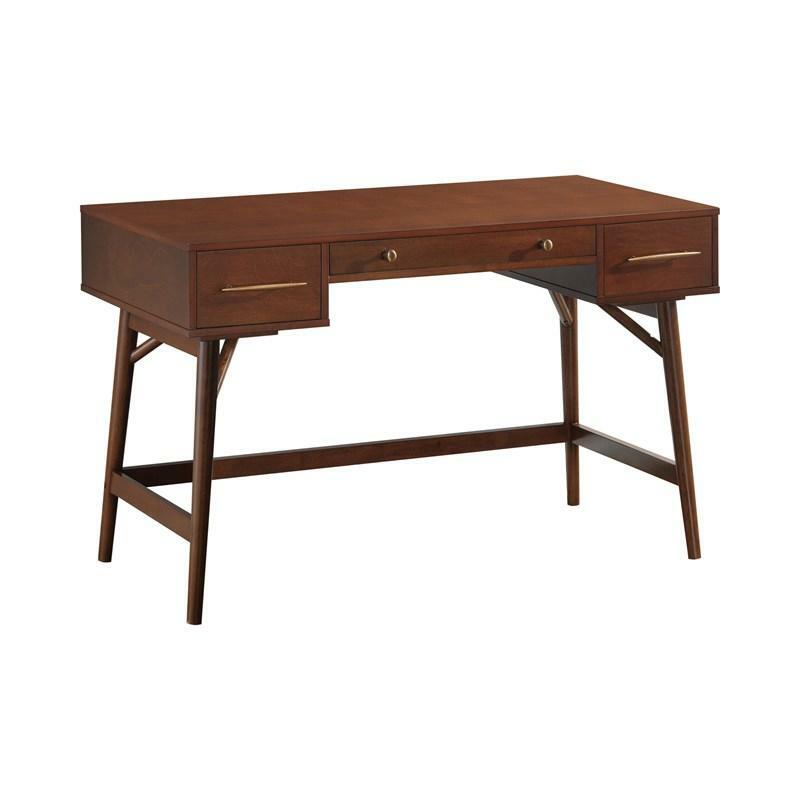 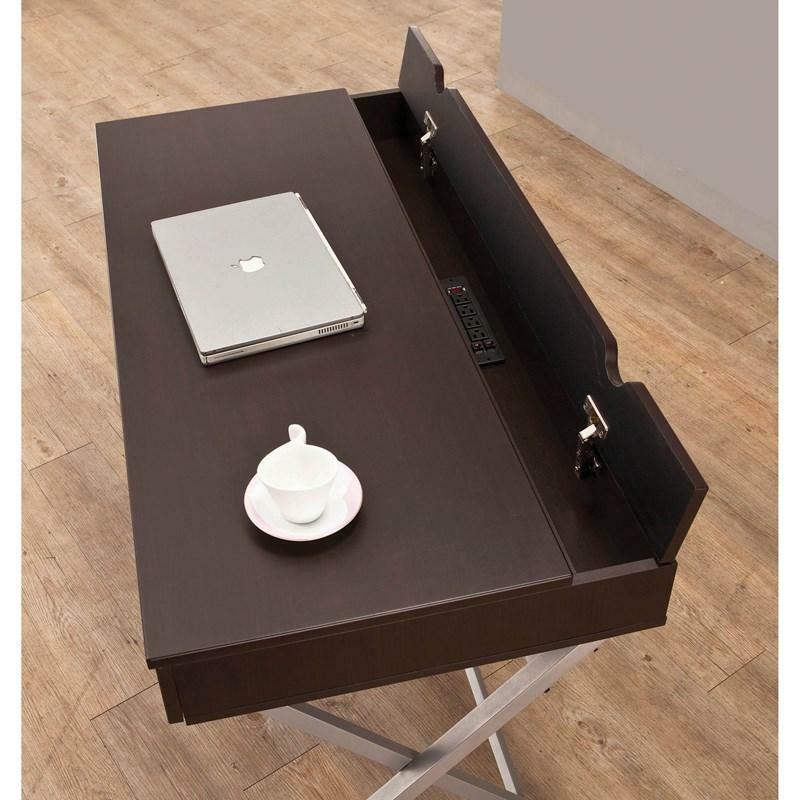 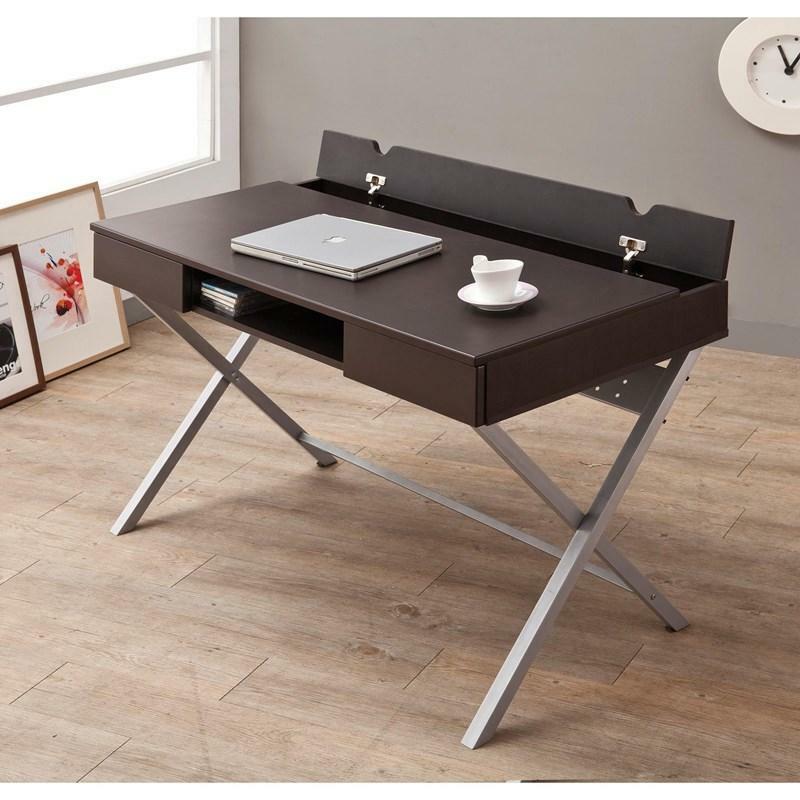 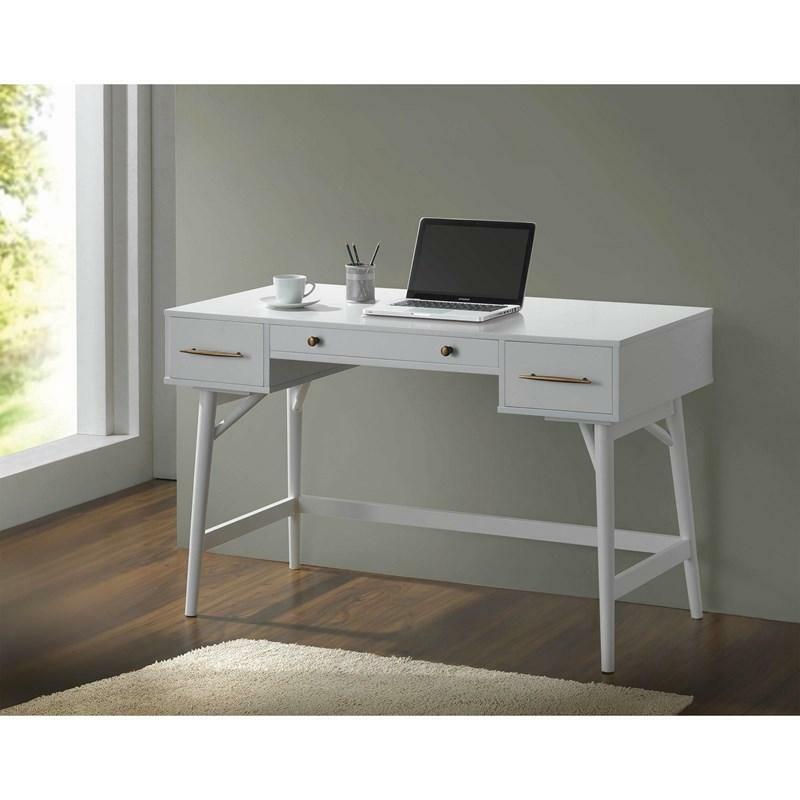 This compact writing desk features a power storage compartment with convenient wire management to keep your electronics charged at all times, with two storage drawers and an open compartment for other office essentials. 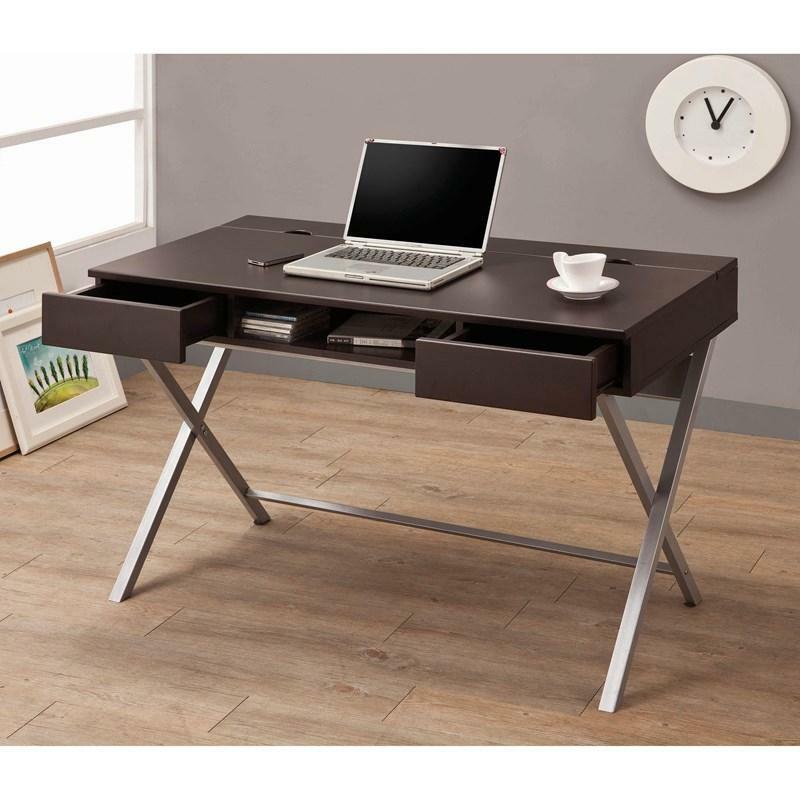 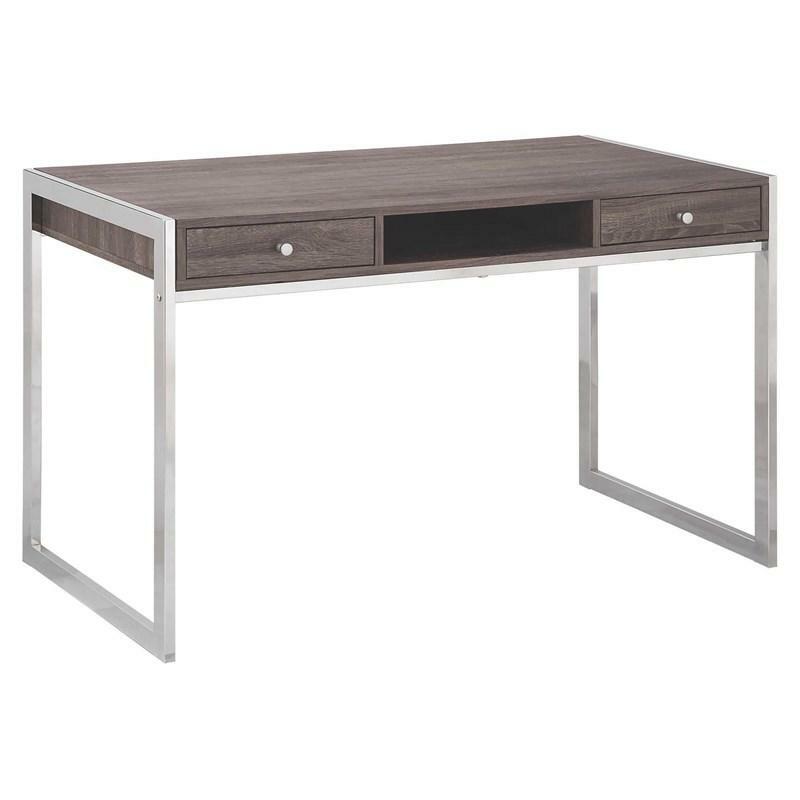 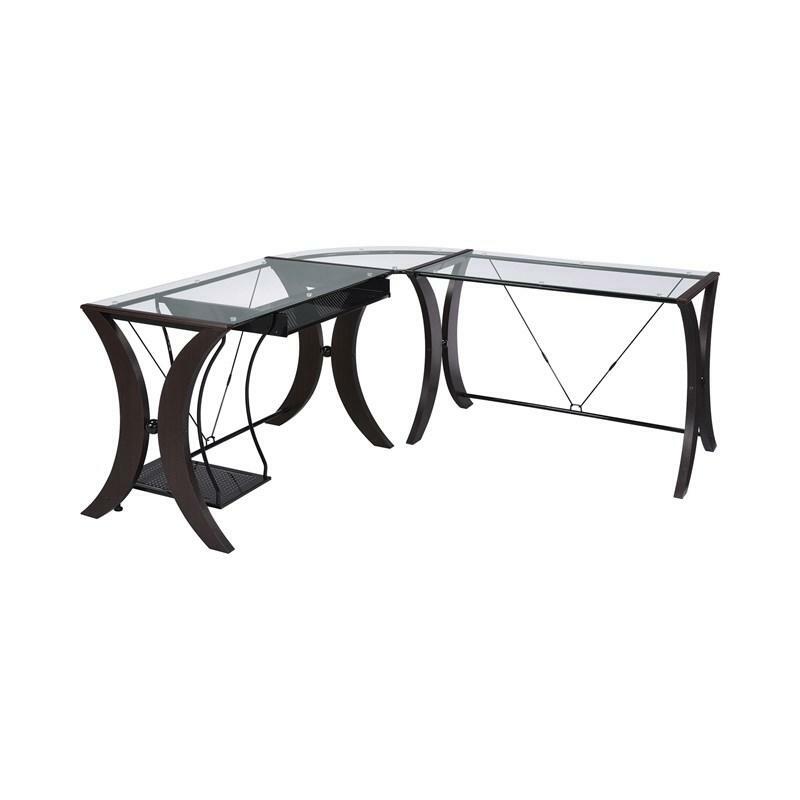 Finished in rich cappuccino with brushed silver legs, this piece would make an attractive addition to any workspace.